I have to admit that I have an obsession with using contact paper for activities. 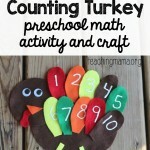 It can be used in so many ways for learning! 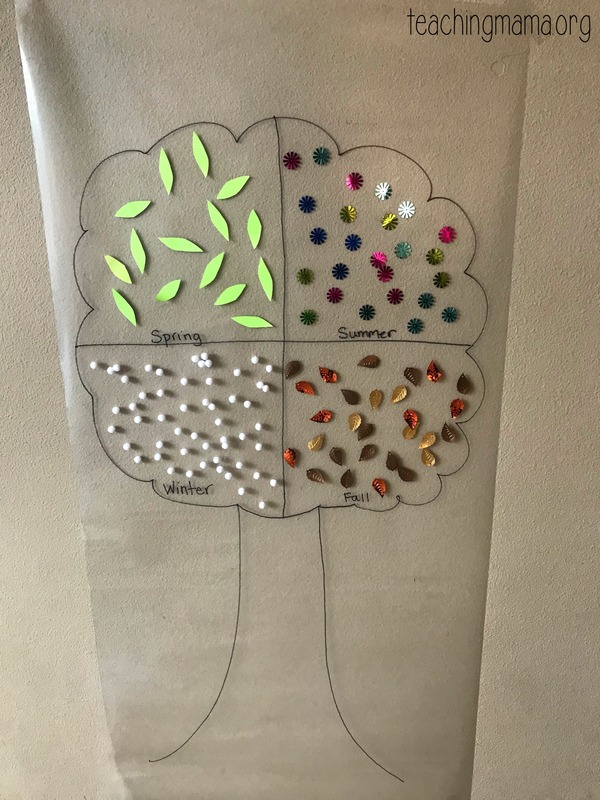 Today I’m sharing how I used it to create a four seasons tree activity. 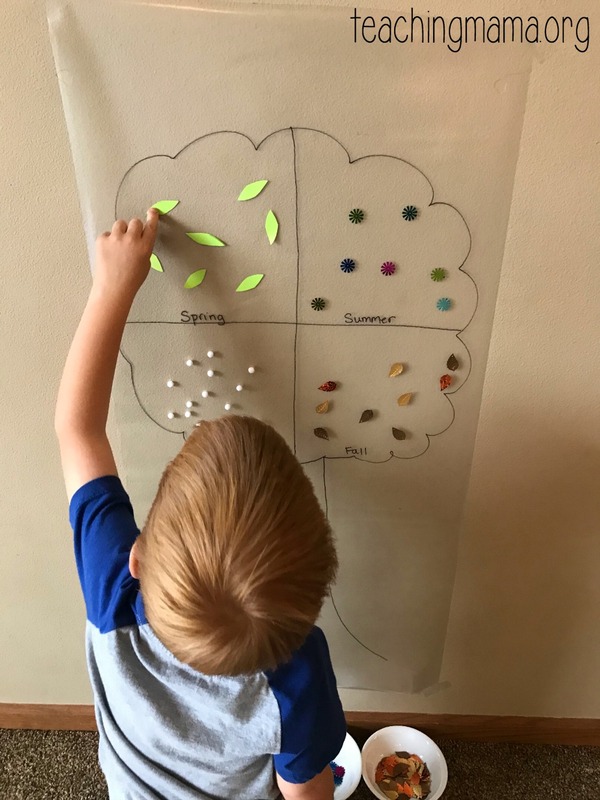 This is a great way for toddlers and preschoolers to learn about the four seasons. Cut a long sheet of the contact paper. Peel off the back. Tape the contact paper to the wall, with the sticky side facing out. 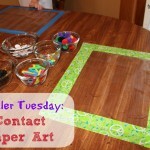 Use some tape on the four corners. 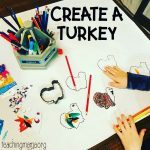 Then invite your little one to decorate the tree for each season. 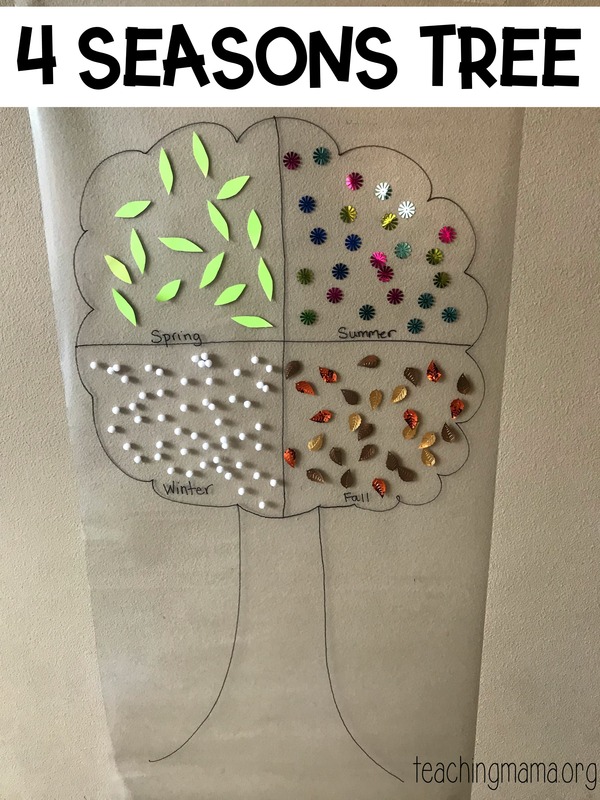 The white pom poms are for snow (winter), the green paper for green leaves (spring), the flower confetti (summer), and leaves confetti (fall). Since the contact paper is super sticky, the materials stick and don’t fall off! If you use heavier material, they could fall off so I recommend using light items. 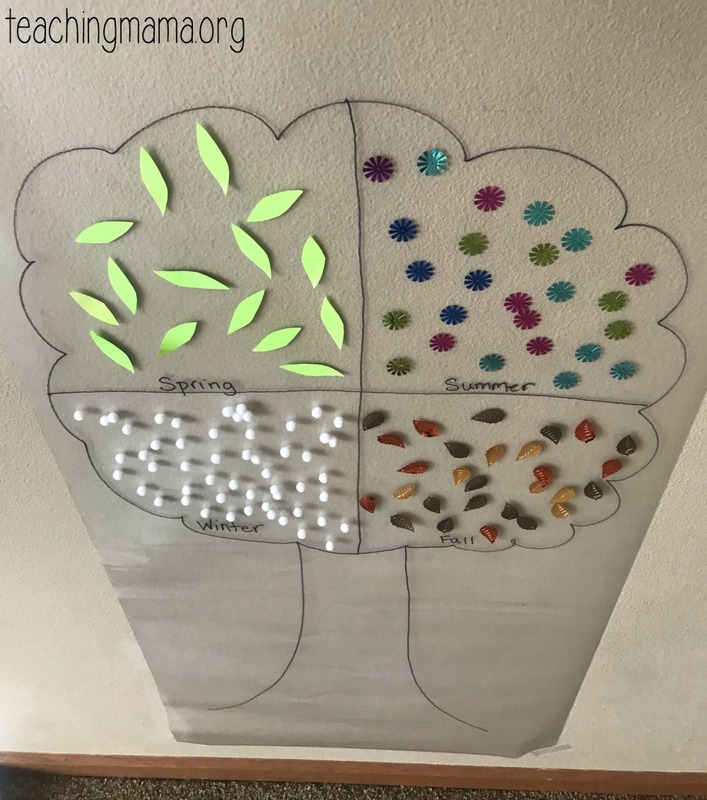 While playing, talk about the different seasons and what each season looks like. 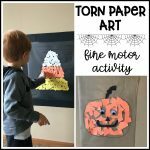 This activity is great for toddlers and preschoolers because it’s simple and to the point. 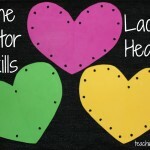 It’s a great starting point for teaching the four seasons. 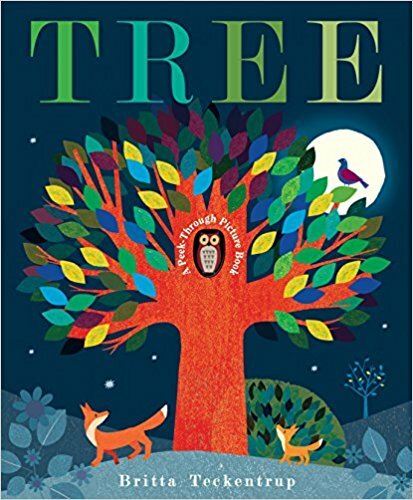 And if you’re looking for a great book to read on the seasons, I recommend the book Tree by Britta Teckentrup. How cute! 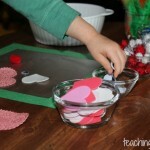 I would put the flowers on Spring, though… thansk for your fun site and creative idea sharing!